Jon Stewart has an idea as to why Gingrich is so keen on a moon colony, and it involves some of his historical philandering. 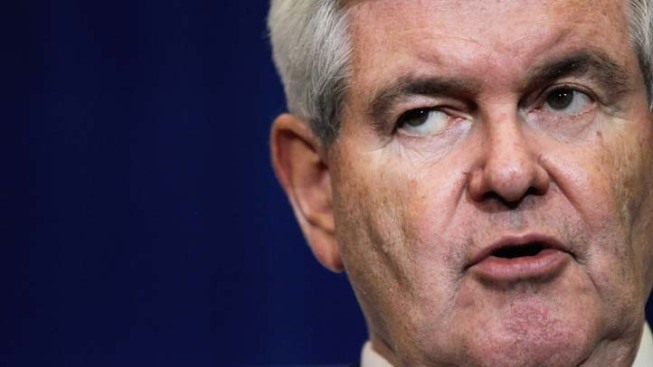 Could Newt Gingrich be planning on leaving his ailing planet for a younger moon? Jon Stewart thinks so. Newt Gingrich's recent proposal of a U.S. colony on the moon have plenty of observers scratching their heads — but Jon Stewart is nonplussed. "Your solution to being accused of grandiosity is, 'Give me your ears, and I'll have a [expletive] moon base?' Did you start with Death Star and you got kind of reined in?" Stewart asked on "The Daily Show" Thursday night. He also mocked Gingrich's suggestion that once 13,000 Americans had moved to the moon, they could petition the U.S. for statehood. "13,000 — that's not a state! That's like a condo development," he observed. "You wanna be like a lunar Trump." But Stewart had an idea as to why Gingrich was so keen on the idea of a moon colony, and it involved some of the former House Speaker's historical philandering with women younger than his wives. "I see what's going on here. This isn't about making new states. Newt Gingrich did that global warming ad with Nancy Pelosi, realized that the earth is very sick and now he wants to leave it for a younger planet."